Anatoly Yevgenyevich Karpov was the twelfth World Chess Champion and is known for one of the purest positional styles in chess history. Anatoly Karpov was born on May 23, 1951 in Zlatoust, in the Urals region of the former Soviet Union. He learned chess at the age of four. By age 11 was a Candidate Master and the following year Karpov would be admitted into former World Champion Mikhail Botvinnik's chess school. 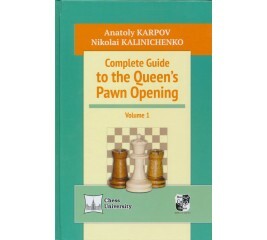 Karpov flourished under the training of great Soviet masters. In 1966 Karpov become the youngest ever Soviet National Master in history at the age of fifteen(tying a mark held by World Champion Boris Spassky) would. 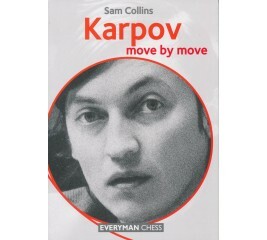 Karpov began his rapid ascent in the international chess scene. In 1969 he would win the World Junior Championship. The following year in 1970 he would earn the title of International Grandmaster. Karpov would then win the 1971 Alekhine Memorial tournament that featured some of the world's strongest grandmasters. In 1973 he would finish second in the Soviet Championships and first, along with Victor Korchnoi in the Interzonal tournament. 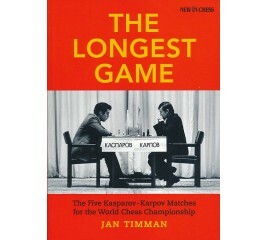 This victory qualified Karpov for the Candidates match of 1974. The young Karpov surprised many by defeating former World Champion Boris Spassky in the semifinals and then beating heavily favored Victor Korchnoi. With this Victory Karpov had secured his chance to play Bobby Fischer for the World Chess Championship, or so he thought. Just 23 years old and seemingly peeking at the right time, many believed Karpov posed a serious threat to Bobby Fischer's crown. Fischer was the most celebrated champion of all time, and to say the match was highly anticipated would be an understatement. The chess world was saddened when negotiations between Fisher and FIDE fell through. FIDE would not satisfy Fischer's demands and thus forfeited his World title. Anatoly Karpov would become the first and only person to win the World title without playing a single game. Over the next ten years Karpov would prove he was worthy of being called World Champion. He competed in almost all of the strongest international chess tournaments, dominating most of them. 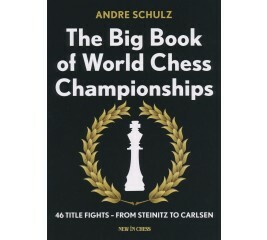 He would also defend his title twice both times against Victor Korchnoi in 1978 and again in 1981. In 1984 Karpov faced a new, younger opponent who had exploded onto the chess scene, Gary Kasparov. The World Championship Match of 1984 would become a controversial war of attrition. After dozens of draws, Karpov would take a commanding lead of 5 to 0. As the match grinded on, Karpov seemed to tire and the younger Kasparov fought back to even the score 5 to 3. With both men showing signs of exhaustion from the grueling match, FIDE president, Florencio Campomanes, abruptly ended the match. He cited that the players' health were at risk due to the extreme length of the match. The two greats would once again play for the title in 1985, with Kasparov eventually winning a close match by a score of 13 to 11. After essentially replacing Bobby Fischer as the world's most dominant chess player and holding the world title for a entire decade, Karpov's reign as world champ was over. 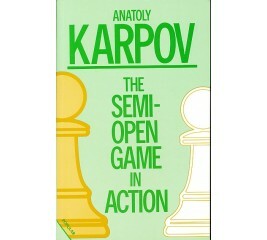 Karpov would challenge Kasparov several times for the title, but would never again regain the unified crown. Each time Karpov and Kasparov played it would prove to be an epic battle, but Kasparov somehow would always manage to edge out Karpov. Kasparov proved to be Karpov's nemesis. Karpov's first rematch was in 1986, Kasparov would narrowly defend his title 12 ½ to 11 ½ . Once again the two played in 1987 with Kasparov again barely holding on to the title in a 12 to 12 tie. Kasparov vs. Karpov would become possibly the greatest rivalry in chess history. Both players had contrasting styles and personalities, yet were very evenly matched. Each defined the others career. The two would play once more in 1990, once again the result would be 12 ½ to 11 ½ in favor of Kasparov. Much like his idol Capablanca, Karpov's style can best be described as positional. He was a master of exploiting the tiniest weakness in his opponent's position. He was sometimes referred to as the "boa constrictor", because he would gradually grind-out and "squeeze" his opponents. One of Karpov's finest moments was in the Linares Tournament of 1994, possibly the strongest chess tournament ever assembled featuring the likes of: Gary Kasparov, Vladimir Kramnik, Vishy Anand, Boris Gelfand and Judit Polgar. Karpov finished undefeated with 11 of 13 points, 2 ½ points ahead of Kasparov. The 1990's brought financially and politically motivated changes to the chess world championship . In 1993 Gary Kasparov and FIDE could not agree to terms and Kasparov split from FIDE. Kasparov would play British GM Nigel Short in the PCA World Championship. Meanwhile, Karpov would defeat Jan Timman for the FIDE World Chess Championship , but most still considered Kasprarov to be the real champion. Karpov would remain FIDE champion until 1999, when he himself would split from FIDE in protest to FIDE changing the world championship format. 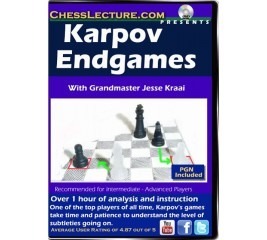 Since the year 2000 Karpov has played much less frequently, but is still regarded as one of the game's best. Amazingly, he has been relevant in the chess world for 40 years. "Chess is everything: art, science, and sport." 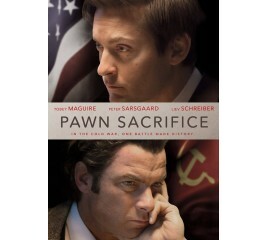 "Pawns not only create a sketch for the whole painting, they are also the soil, the foundation of any position." Anatoly Yevgenyevich Karpov (Russian: born May 23, 1951) is a Russian chess grandmaster and former World Champion from 1975 to 1985 when he was defeated by Garry Kasparov. Karpov played three matches against Kasparov for the title from 1986 to 1990, before becoming FIDE World Champion once again after Kasparov broke away from FIDE in 1993. Karpov kept the title until 1999, when he resigned his title in protest against FIDE's new world championship rules. 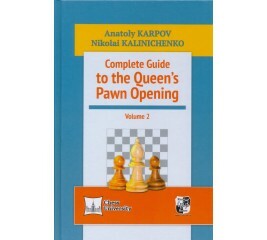 Looks at several major chess opening strategies, including the Sicilian Defence, and provides examples of the games in which they were used. 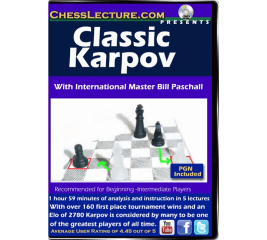 The 12th World Champion, Anatoly Karpov, has again selected his favorite games of the American World Champion - Robert J. Fischer. Here Karpov discusses some of the games played during the rematch between Robert Fischer and Boris Spassky in 1992. 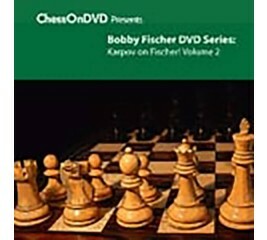 Continue with Anatoly Karpov in his specially created series of chess DVDs about the games of the American World Champion - Robert J. Fischer. Karpov has personally selected his own favorite Fischer victories, played during the American's historic World Championship Match with Boris Spassky in 1972. 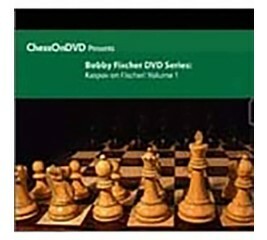 In a remarkable and unprecedented video-publishing endeavor, the 12th World Champion Anatoly Karpov has created a series of chess DVDs concerning the games of the American World Campion - Robert J. Fischer. Karpov has personally selected his own favorite Fischer games, played during the American's ''Quest for the Crown'' and prior to the ultimate showdown with Boris Spassky in 1972. Anatoly Karpov was World Champion from 1975 to 1985 and is universally regarded as one of the greatest players of all time. 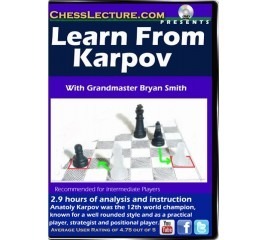 Award-winning author Tibor Károlyi explains Karpovs genius with a particular focus on Karpovs unrivalled grasp of strategy. 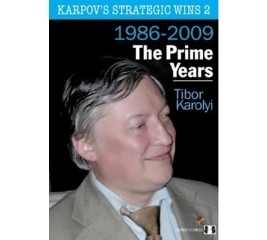 In this second volume, Károlyi has selected Karpov's most entertaining and instructive strategic wins from 1986-2010 when Karpov was battling with his young rival Garry Kasparov for chess supremacy. 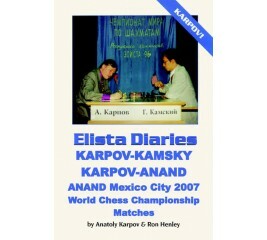 Elista Diaries is the classic first-hand account of one of the most intensely fought World Chess Championship matches seen for decades. The World Champion and his chief trainer deeply annotate all of the games from the 1996 World Championship Match.